Get a grip on your fabric with Quilters Tips. Choose which finger need some extra grip. 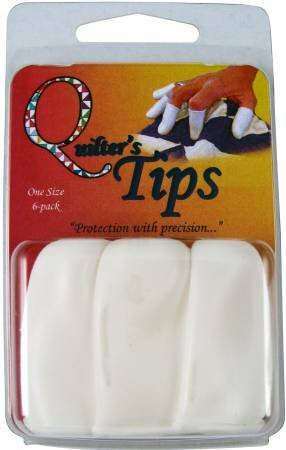 Whether it’s machine quilting, machine sewing or pulling needles, Quilters Tips give you just enough grip to really control your fabric while still being able to feel your work. Enjoy the flexibility of adding needed grip to select finger tips and not feeling confined. Silicon & latex free! One size fits all.